Beautiful Incentives: Gift Baskets Plus- Enjoy 15% off Now, just in time for the Holidays! 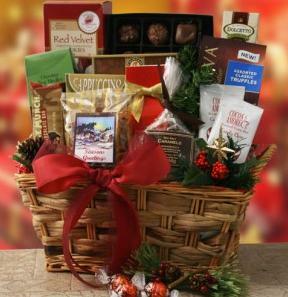 Gift Baskets Plus- Enjoy 15% off Now, just in time for the Holidays! Well, i've a got a lovely recommendation that fills all those needs in one beautiful basket of goodies. Whether you are targeting a wine connoisseur, chocolate, coffee/tea, fruit lover or anything in between, they have everything for every need. It is sure to please anyone on your list. Remember, it isn't just the gift, but what you put into presenting it and having them do it for you just shows how much you care and want to make it perfect. An artistic gift has value and shows that the person you are giving it to does too. Gift baskets Plus carries a wide assortment of products and for every occasion, personality and budget. they have baskets for Birthdays, Get Well's, just plain Thank You's, as well as every holiday under the sun. 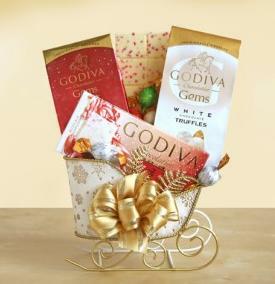 The Gift baskets also come contoured to men, women, children and even pets! To beautiful bowed baskets & boxes stuffed to the brim with goodies. If not satisfied, return for full money back, hassle free. Really fast shipping! Orders placed before noon ship the SAME day! Lowest competitive prices compared to any other online stores! If you have any questions or need assistance, they have an online live chat service or you can give them a call and they will help you! This is a sponsored post and I received compensation.